I wanted to show you this pattern I wrote last year again because it is a little bit like the pattern I used for the Lap-top Cover. 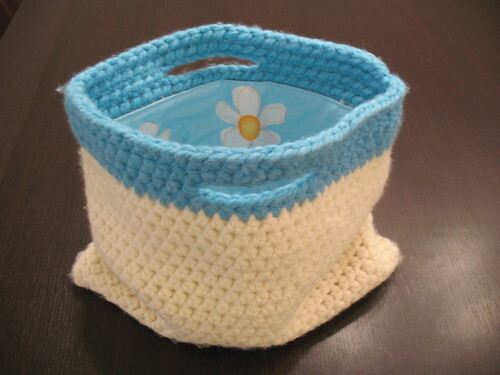 See, I love crocheting but I am not really into sewing the sides up for bags. 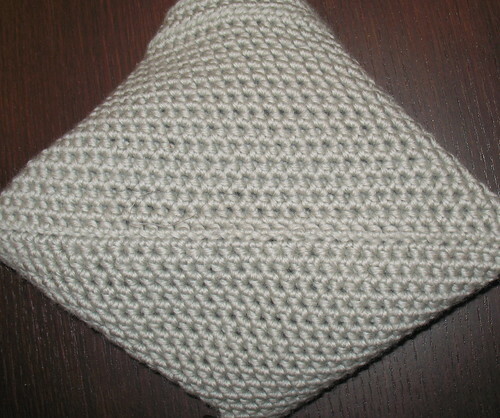 So please find below the pattern for a seamless purse. I guess it’s probably totally the wrong way to make a bag/purse but it is soo easy! Here is a view of the bottom and I think it looks fine. 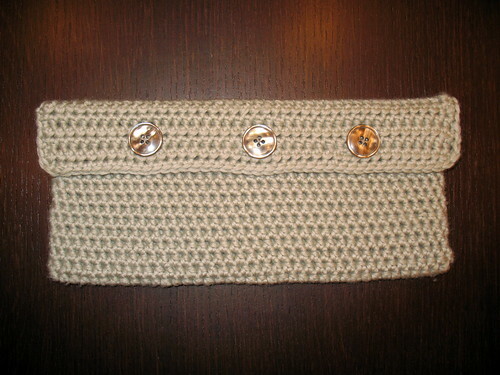 The end result looks like this and the only thing you have to do at the end is sew the buttons on and weave the ends in. After it’s finished you might want to line the purse. 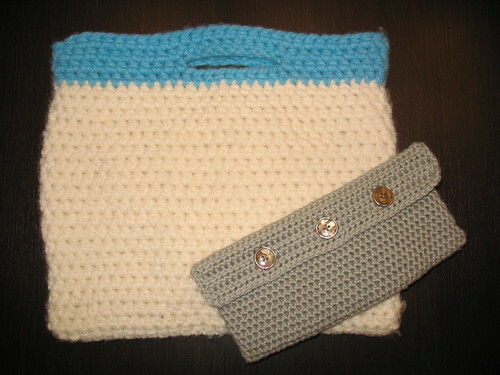 I am not very good at sewing so if somebody has a good tutorial for lining a crocheted purse please let me know. I think this would also look very nice without the flap and a zip in it. no chains at the end of a row just keep going around and around untill your work has the desired height, mine is about 10cm high. ch 2, 40 hdc turn over keep going untill you have 6 rows like this. Now sew your buttons on. Thank so much for your comment! I would love to see what you make maybe you want to join the group? That is really cute, I love the lining too! It looks like you did a bang up job with it… and I LOVE the handle! After my recent 96 Tears pain & suffering, not sewing up anything’s sides or back or tail or ends or tops or what have you sounds like it’s right up my alley… thanks for writing a pattern! I just started to make one tonight, I listed the beginning pic on my blog and linked back to you. I hope mine is as cute as yours is. How do you do the handles on the big one?